Part 1. Check Out More Details about FoneCope iOS Unlock! 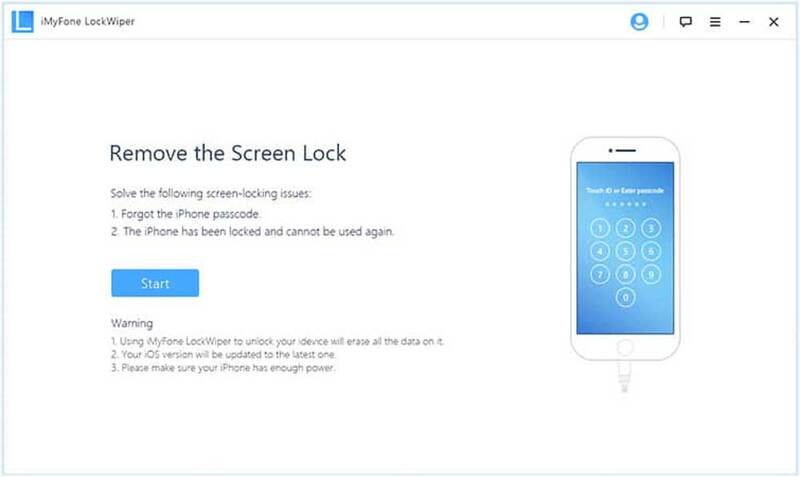 If you’re using any iOS device and unfortunately forget the screen lock password, here is the ultimate guide for how to use FoneCope iOS Unlock to remove screen lock password as well as Apple ID. Just read the full article where you will get a step-by-step guide and follow the screenshot images for more details. 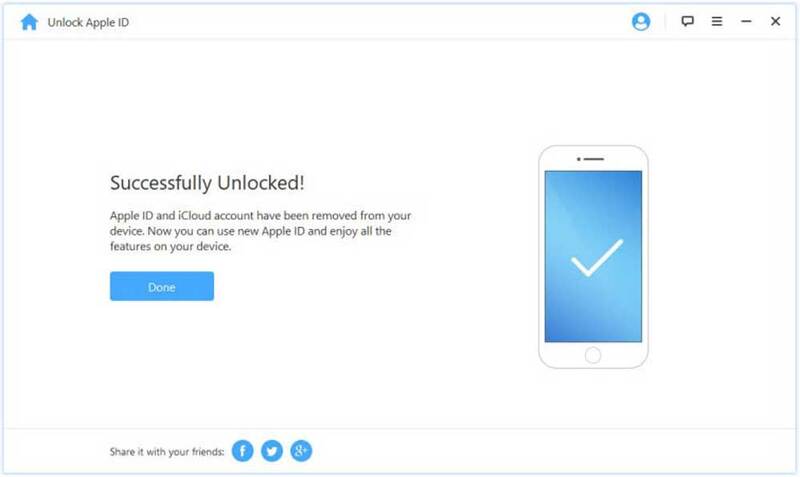 FoneCope iOS Unlock is a password removing tool, which is firstly developed for unlocking disabled and locked iPhone, iPad, and iPod. And, recently it’s updated with a new feature that can unlock Apple ID without the password. iDevice is disabled after you enter the wrong password multiple times. The touch screen does not work and cannot be accessed. 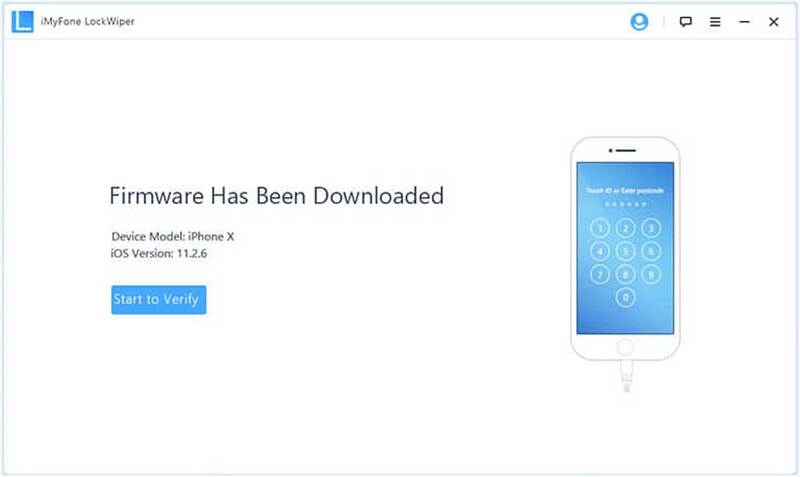 The used iOS device is locked by the former owner. The iPhone’s lock screen password has been tampered with by others. Forget the iPhone/iPad/iPod touch password. Other reasons to unlock the screen. The dilemma of entering Apple ID every time you download apps. Unable to use iPhone full features since the previous owner locked the Apple ID. Forgot the password for the Apple ID/iCloud account. Want to change to a new Apple ID. When Find My iPhone is enabled, you want to delete Apple ID without password. Other reasons for deleting/changing Apple ID. FoneCope iOS Unlock, as a comprehensive software, can run safely on Windows 10/8.1/8/7/Vista/XP and Mac OS X 10.6 – Mac OS X 10.13. 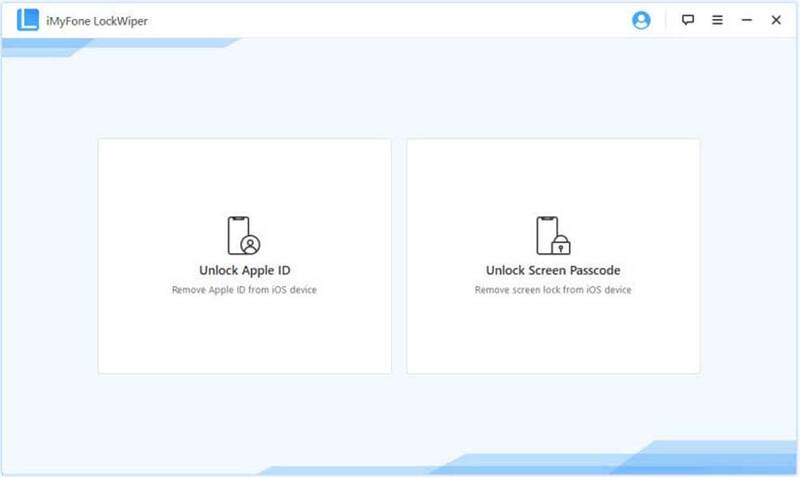 FoneCope iOS Unlock offers Unlock Screen Password mode to help you bypass the 4-digit password, 6-digit password, touch ID and face ID of iPhone/iPad/iPod [including iPhone XS (Max) and iOS 12]. Unlock different forms of passwords (custom digital code, face ID, etc.) within a few minutes. It is possible to bypass the damaged iPhone screen. Remove the screen lock of the iOS device without password. After unlocking, automatically update to the latest iOS version. Reset device without lock screen password. Unlock 5 devices with one FoneCope iOS Unlock. Step 1. Click Start after going to the Unlock Screen Password mode. Step 2. Connect the iOS device to the computer via a USB cable and click on the Next button. 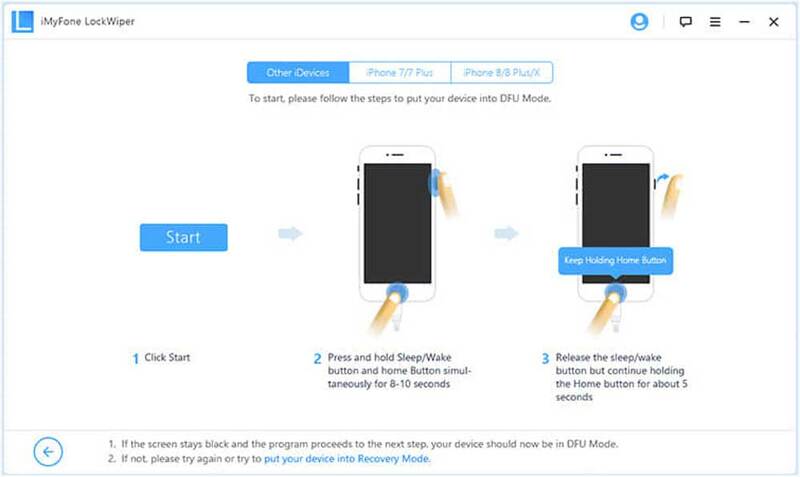 The device will automatically enter in DFU/recovery mode. Step 3. It will detect the model of the iPhone device and provide the appropriate firmware. Click Download. Copy allows you to copy and paste the link into the browser to download the appropriate firmware in the event of the detection failure. Select is to import the firmware directly after the successful download. 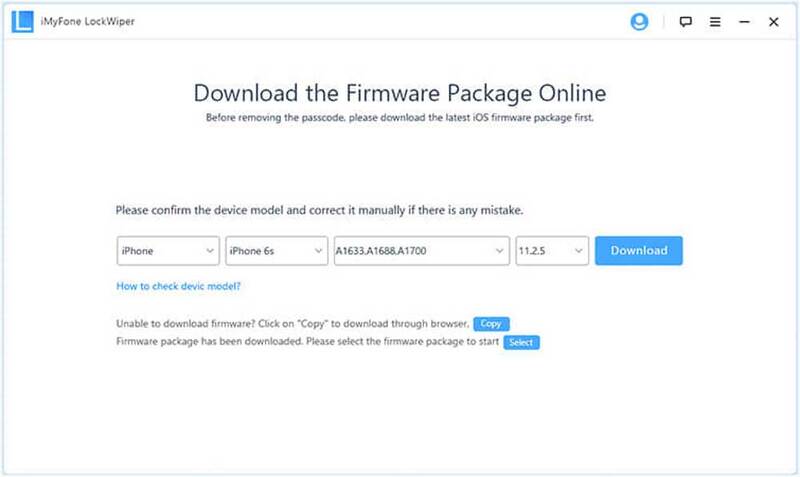 It takes a few minutes to download and automatically verify the firmware package, please be patient. Once the verification is successful, click Start to Extract. Step 4. 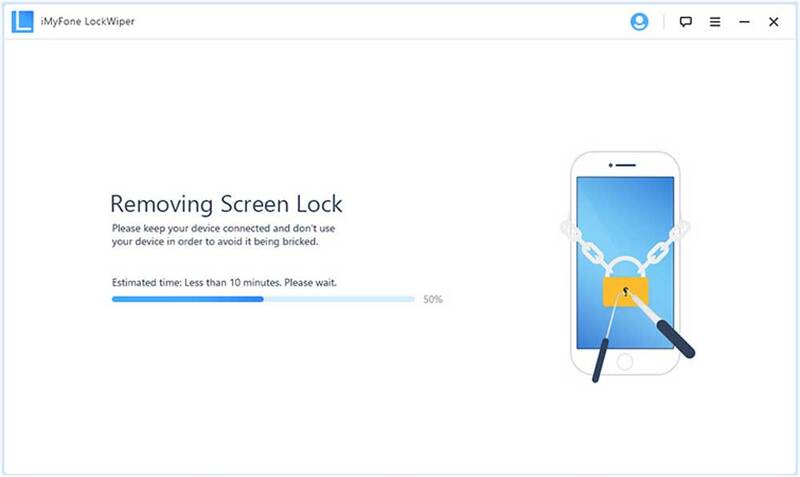 Now you can click Start Unlock to unlock your device’s screen password. Do not unplug the USB cable until the unlocking is done. You need to enter 000000 to confirm your action. Please check the Notice before confirming. If your device is still in recovery mode, wait a few minutes for an unlocked iOS device. It can help remove the Apple ID and iCloud account from iPhone/iPad/iPod, no matter Find My iPhone is enabled or disabled. What Benefits Can The Unlock Apple ID Mode Bring You? 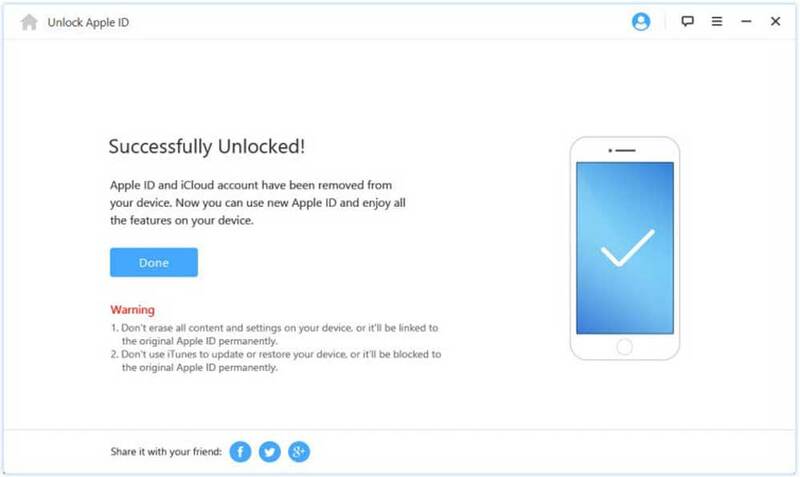 Unlock the Apple ID/iCloud without password. Enjoy all the features of Apple ID and iCloud. Recreate the new Apple ID. 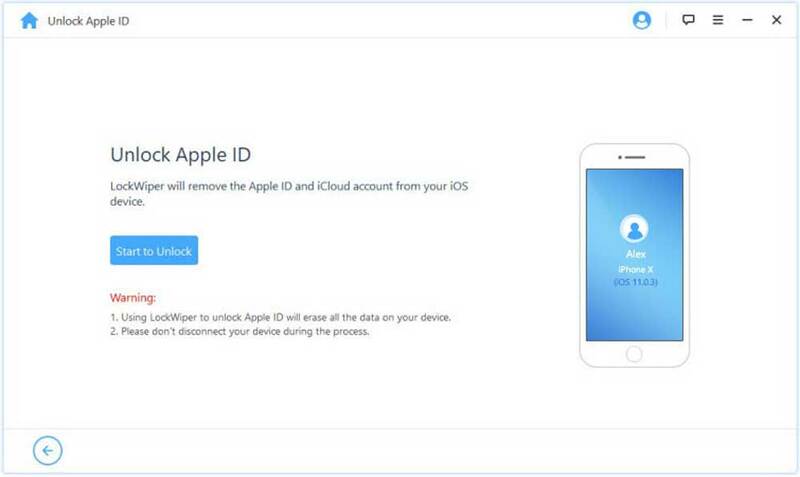 Once deleted, your device will no longer be remotely tracked, deleted or blocked by the previous Apple ID. Take complete control of your iOS device. Step 1. 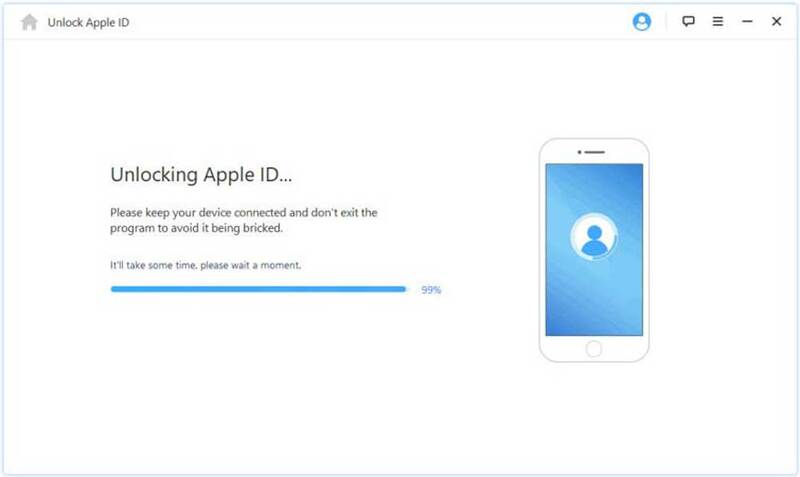 After selecting Unlock Apple ID, connect your iOS device to the computer. 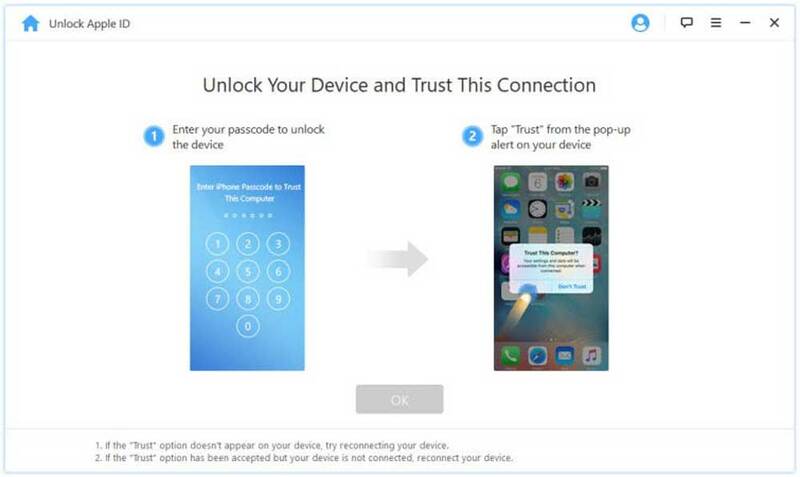 If your iPhone hasn’t trusted your computer, select “Trust” from the iPhone pop-up alert. Step 2. Click Start to Unlock to delete the old Apple ID and iCloud account. Pay attention to the Warning on the interface, all data will be erased when the unlock will complete. The iOS Unlock will automatically start unlocking your iOS devices. Wait for a few minutes and the Apple ID will successfully delete. 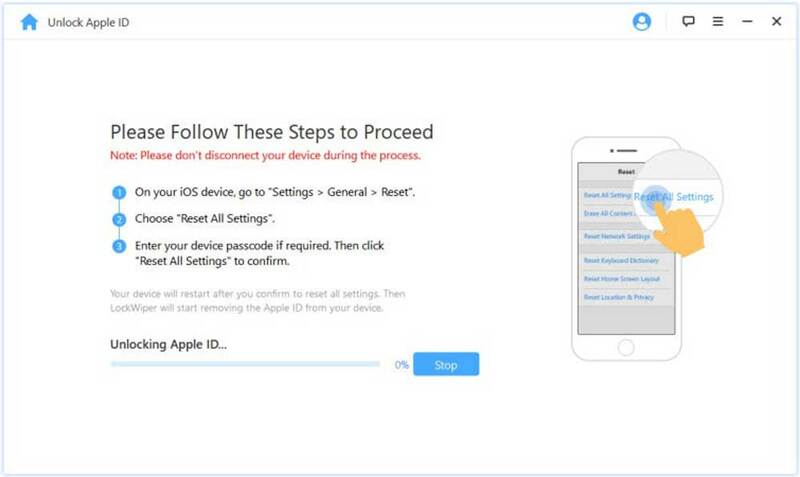 You will need to follow the instructions to reset all settings on iOS: Settings > General > Reset > Reset All Settings, then reboot the device. After startup, the unlock process will start automatically. A few minutes later, you will completely get rid of the old Apple ID. Check the warnings and strictly enforce them. Q1: Do I need to download iTunes when using FoneCope iOS Unlock? Yes, your iOS device can only be detected and recognized when iTunes is installed on PC/Mac. If not, please download the latest version of iTunes from Apple’s official website. 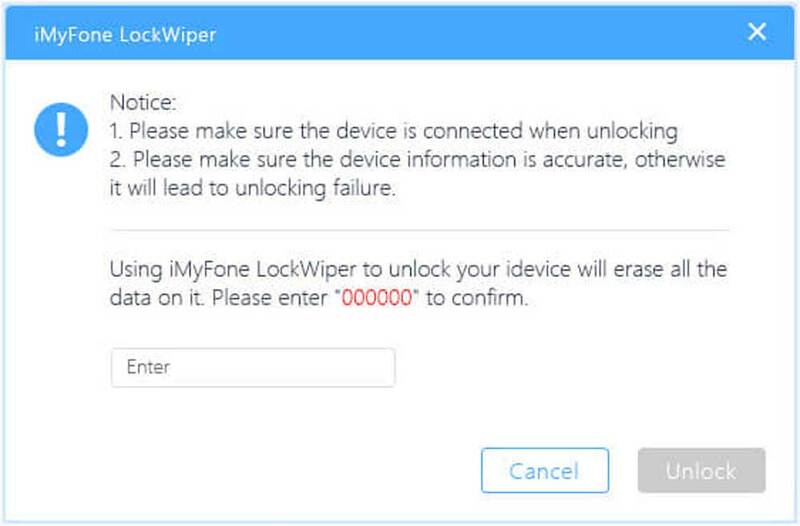 Q2: How do I make sure my device can support FoneCope iOS unlock? Download the free version of FoneCope iOS Unlock. If your screen password/Apple ID can be deleted, you can click “Start Unlock” to continue. Otherwise, you will receive a message “Your Device Is Not Supported”. Q3: Can I delete Apple ID for my iOS device when Find My iPhone Enabled? 1. “Find My iPhone” Disabled: FoneCope iOS Unlock can remove Apple ID from any iOS device. 2. “Find My iPhone” Enabled: The iOS Unlock only supports iOS 11.3 and earlier.